Have a common and persistent work-related problem that keeps you awake at night? 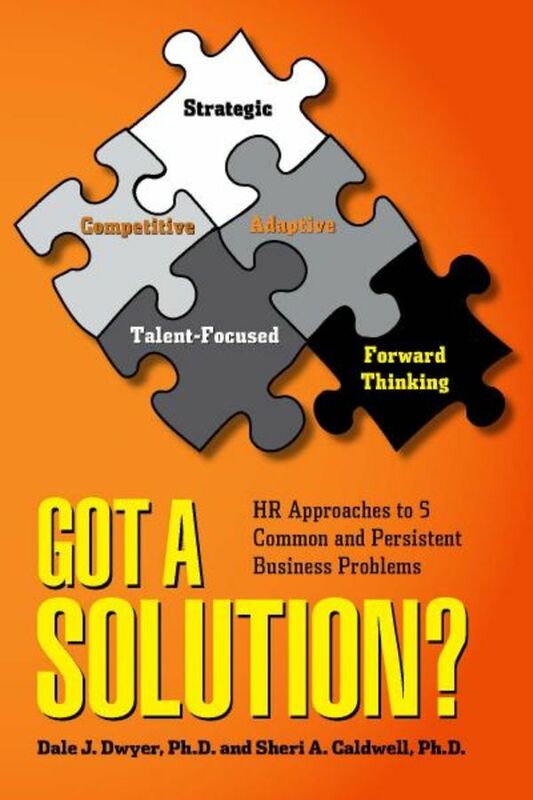 Are you looking for possible outside the box solutions to resolve these issues? The authors of the bestselling Got a Minute? The 9 Lessons Every HR Professional Must Learn to Be Successful have written a timely and timeless book about the five universal problems that all organizations face. The problems discussed include unclear or unrealistic organizational vision and a lack of well-developed or well-implemented strategies, changes in domestic and international competition, dealing with federal and state laws and regulations, poor leadership and insufficient employee competencies, and the changing nature of society and the workforce. The solutions to these problems can almost always be found in what managers claim to be their most important asset—their people. Unfortunately, most managers do not involve their people deeply enough in problem resolution to have a significant effect. Got a Solution? provides unique problem-solving approaches that engage employees, resulting in lasting benefits for the entire organization. After reading this book, business leaders, managers, and HR professionals will be better equipped to come up with workable and innovative solutions to the very problems that plague their organizations.